Seyfarth attorneys are among the few in the country with a successful track record of trying employment class and collective action suits. Few class or collective actions reach the trial stage, but when a case of such dire importance does go to trial, companies want Seyfarth trial lawyers at the bench. Opposing counsel knows that Seyfarth attorneys are as capable at trial as they are in pre-trial negotiations. The specter of a jury trial will not intimidate our clients into an unreasonable settlement. Our trial experience informs every step of our litigation strategy. We view witness preparation, document production and depositions not only with an eye toward defeating class certification or obtaining summary judgment, but also with the goal of successfully winning at trial. At every step, plaintiffs counsel understands we are prepared to go to—and win in—trial. This focus on being trial-ready continually pressures opposing counsel, and often maximizes the results we obtain at summary judgment or in settlement. For decades, Seyfarth’s employment attorneys have set precedents in high-stakes trials throughout the United States. 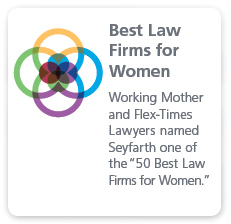 Seyfarth’s reputation for working with our clients to obtain their desired results in litigation and in trial is unparalleled. We frequently defend our clients in jury and bench trials in state, federal and appellate court venues alleging the following claims: discrimination, harassment, hostile work environment, misclassification as exempt employees or independent contractors, failure to pay overtime wages, wrongful termination, and reasonable accommodation—among many others—in violation of Title VII of the ADA, the FLSA, ERISA, OSHA and many other federal and state laws. What differentiates Seyfarth’s trial lawyers from our competitors is that we approach every case from the beginning as if it will go to trial. As cases progress toward trial, we keep the client’s desired outcome in mind and always provide them with the best possible defense. 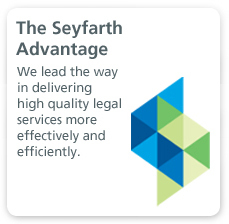 Our clients return to Seyfarth time and again because of our aggressive and strategic approach to litigation and trial. 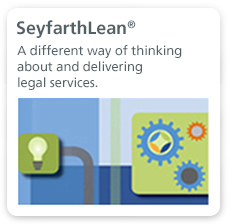 Companies facing rulings that could change the way they do business often turn to Seyfarth to save the day. Seyfarth lawyers have the deep bench in employment litigation trials that the nation’s largest companies are looking for to achieve favorable results at a minimal expense.